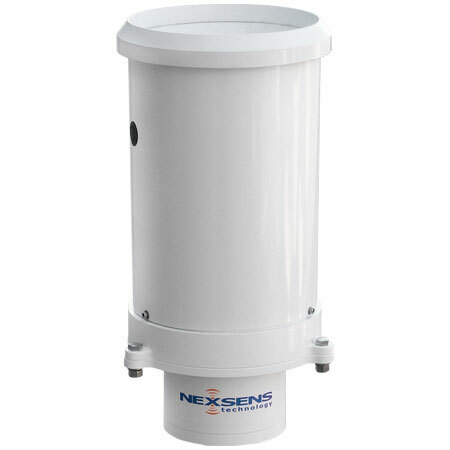 G2-RAIN Alert System - NexSens Technology Inc.
An embedded cellular modem provides live, customizable rainfall notifications on a mobile device or computer. Integrated mount and up to 4 year battery life make setup and deployment easy. Simply screw the G2-RAIN onto a 2” NPT threaded MAST. Syphoned rain gauges provide more accurate measurements by regulating the water flow for rainfall rates up to 27” (700mm) per hour. A built in filter prevents debris from clogging the entry. View live and historic data in a simple and intuitive interface from any web enabled device. WQData LIVE is optimized for mobile devices to provide a great experience regardless of screen size. No need for a site visit to make configuration changes. Queue the commands online and the remote rain gauge will be configured on the next transmission connection.